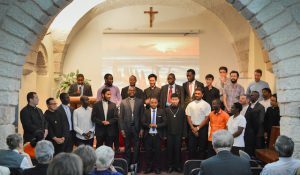 September 29 2018 - STS - Jerusalem The Opening Ceremony of the new Academic Year 2018-2019 of the Studium Theologicum Salesianum, in conjunction with the Dies Academicus, took place on September 29, 2018. The celebration began with a Eucharist presided by Fr. David Sullivan, M.Afr., the new Director of studies of the Seminary of the Missionaries of Africa. 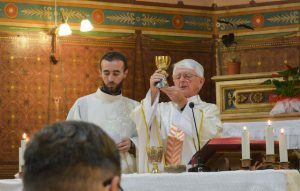 The liturgy was an occasion for the lectures of our University to make a public profession of Catholic faith. After the Mass we gathered in the Don Bosco Hall for the main function. Firstly, Rev. Sr. Angela Ridout SJA, registrar of our Faculty, presented the report of the Academic Year 2017-2018, highlighting the beginning of the transition from triennium to biennium as well as remembering many initiatives in which we participated. This summary was completed by a video presentation made by Bro. Krzysztof Słapczyński SDB. Following, words of welcome and encouragement were given by the Principal of the STS, Rev. Fr. Gustavo Cavagnari SDB, who also introduced the topic of the lectio magistralis. Quoting Lucetta Scarafia he underlined the necessity of reflecting upon the issue of women in the Church and society. Fr. 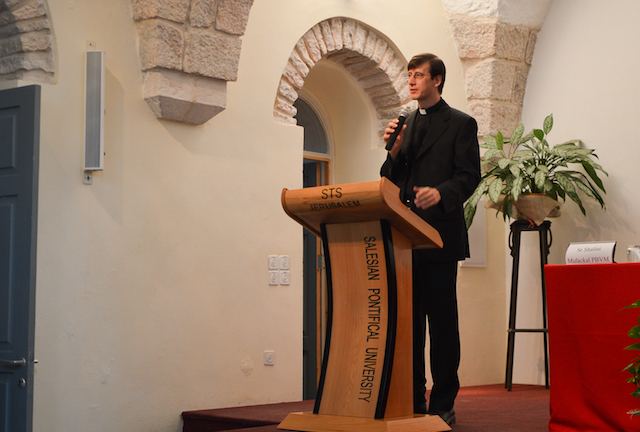 Principal read messages sent on the occasion by Archbishop Pierbattista Pizzaballa OFM, Apostolic Administrator of the Holy Land, Bishop Giacinto-Boulos Marcuzzo, Patriarchal Vicar for Jerusalem and Palestine, Fr. Jean Jacques Pérennès OP, Dean of École Biblique in Jerusalem, and Fr. Damasio Medeiros SDB, Dean of the Faculty of Theology of the Salesian Pontifical University. Afterwards Fr. Matthew Coutinho SDB presented our fellow students who had received the highest marks in the year 2017-2018, namely Bro. Jude Fernando SDB from the 3rd year, Bro. Parfait Balma M.Afr. from the 2nd year, and Bro. Calvin Akunga M.Afr. from the 1st year. 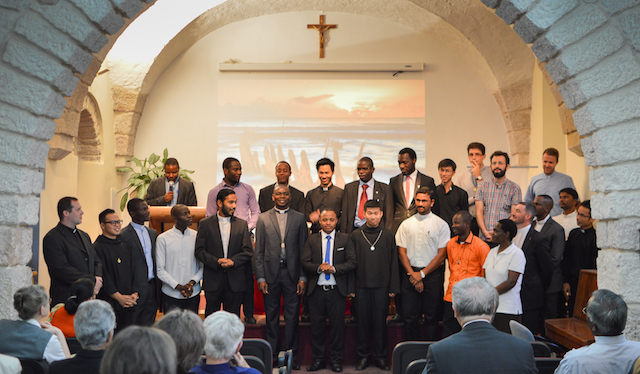 The first part of our gathering concluded with the presentations of the new students made by Fr. Moses Wanjala SDB and that of the new staff members made by Fr. Andrzej Toczyski SDB. The highlight of the day was the lectio magistralis of Sr. Shalini Mulackal PBVM, Professor of Systematic Theology at Vidyajyoti College of Theology, Delhi, India. Sr. Shalini was the first woman President of the Indian Theological Association from 2014-2017. After an introductory speech given by Fr. Stanislaus Swammikanu SDB, Sr. Shalini presented her conference entitled: “Gender Sensitivity in Theologizing”. In her lecture she focused on the analysis of the situation of women in society and the role of theology in the process of their appreciation. 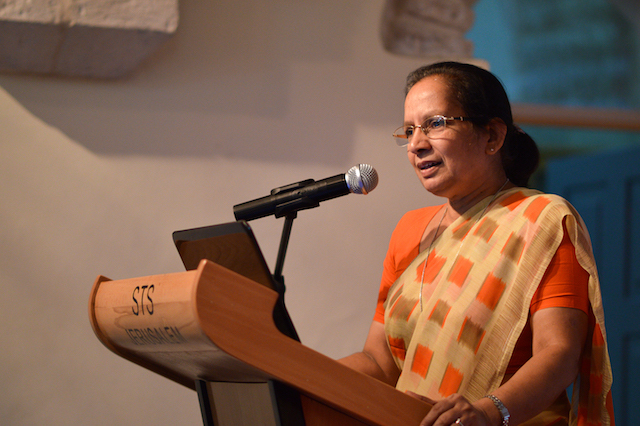 Our Chief Guest challenged all to rediscover a woman’s place in theological reflection. She stated: “doing theology from the context of women who are subject to various discriminations and whose dignity and rights are negated far too often is not an option of theologians any longer (…). 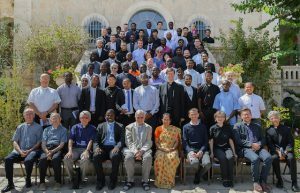 It is a Gospel imperative.” In conclusion, Sr. Shalini postulated that we ought to be practicing theology more sensitive to the fate of women, suggesting a pastoral implications empowering theme and including women into a theologizing process. The whole morning concludes with the official photo session. Filled with many inspirational thoughts we began the new Academic Year, honoured by the occasion to deepen theological knowledge in the Land of Jesus Christ.